Have you ever thought about the fact that the way in which you look at things affects the way you deal with them? Think about this... is the glass half empty or half full...OR...is it twice the size it needs to be? Perspective changes everything! Sometimes I immediately jump to looking at the negative side without even allowing myself the opportunity to consider another perspective. That's silly, don't you think? Perhaps I do this because there is a part of me that really wants some drama that I can talk about and share with other? NOT! Who wants life to be filled with more drama? Maybe I just go to the dark side at times because I'm miserable and misery LOVES company! I love this little picture for it reminds me of a very simple truth...I am who God says I am. 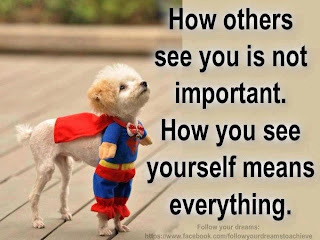 How others see me is not as important as me seeing myself as He does. 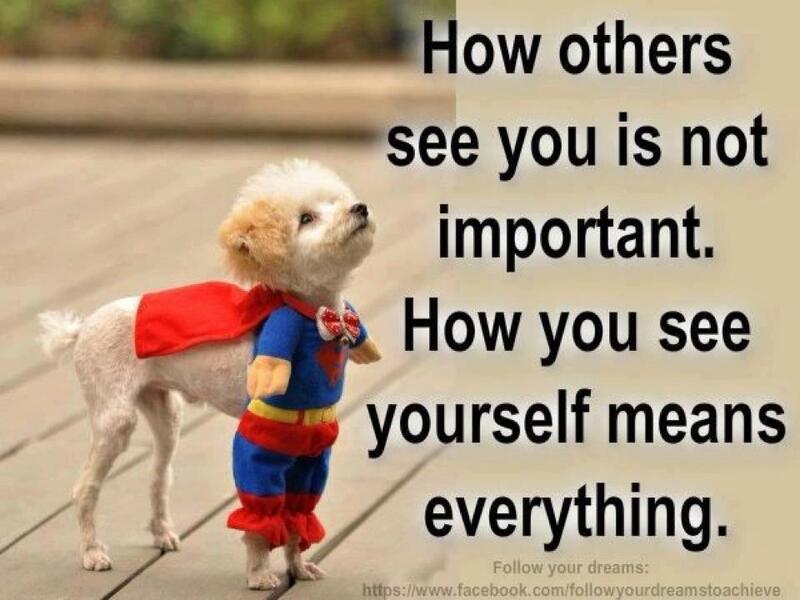 When I see myself through His eyes, I am Superman! You are blessed today to be the type of person that will soar over every obstacle! Fly my friends, fly!